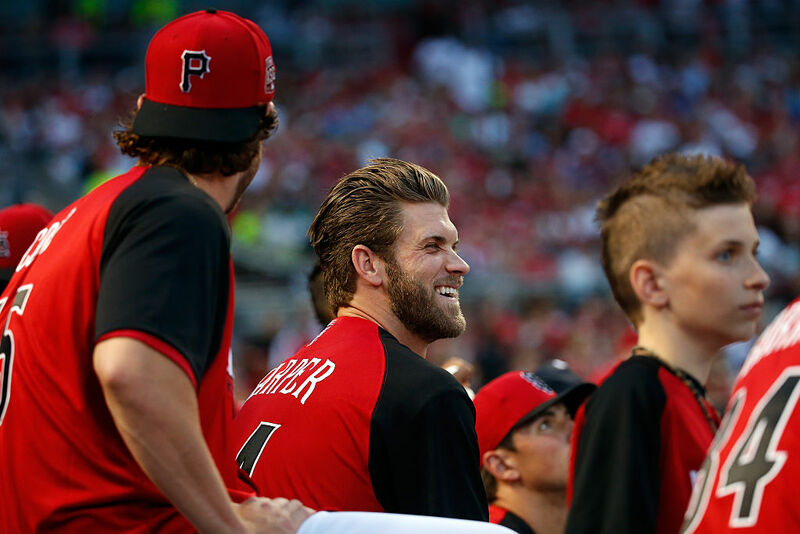 Take it from someone who has attended the All-Star Game’s Home Run Derby three times — it can be as exciting as the seventh game of the World Series or as dull as pre-game fielding practice. No matter how the format changes over the years (with the intent of making the event shorter and more compelling), the third act is always a battle of the titans. And every year the finals remains a roll of the dice; an overtime thriller with Ryan Howard versus David Wright in 2005 or a snoozer in 2010 when David Ortiz walloped Hanley Ramirez in a derby that featured such “sluggers” as Chris Young, Vernon Wells, and Nick Swisher. Major League Baseball is in need of a memorable derby at Petco Park the day before the Midsummer Classic. Much like its cousin-once-removed aka the Slam Dunk Competition, the 31-year-old competition might be ready for retirement if it doesn’t make it less than three hours and add some pop to the proceedings. 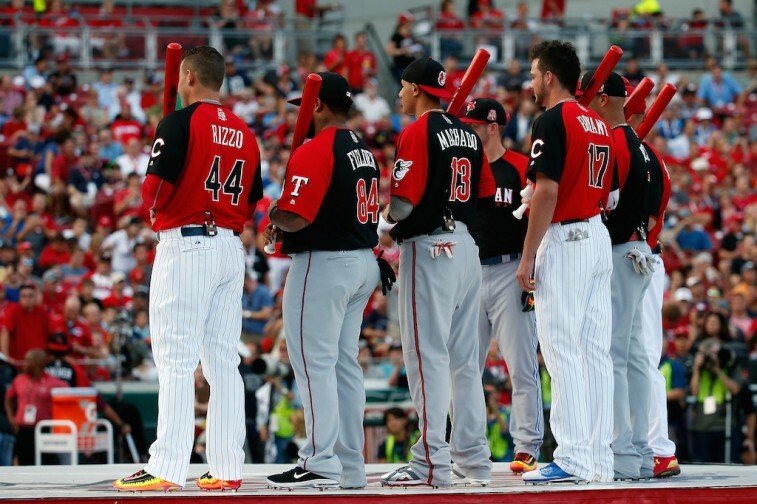 As with any artificial sports competition, the Home Run Derby takes on the personality of its contestants. Not to belittle their skills and contributions to the game, but the 2008 derby featured a roster of sheer blah-ness with Justin Morneau, Dan Uggla, and Grady Sizemore. Only a memorable opening round by Josh Hamilton (he hit 28 dingers in Yankee Stadium) saved that year’s blast fest from being a total bore. The 2016 Home Run Derby will take place at San Diego’s Petco Park, a stadium known for being stingy in giving up the long ball. With some recent modifications, Petco is a tad more homer friendly having yielded 166 home runs in 2015, which places it in the middle of the pack. AT&T Park is the least generous (109 homers) and Coors Field (natch, with 202 deep flies) is the best for sluggers. Petco’s dimensions would favor left-handed hitters with the right-field line some 322 feet from home plate. To make it even easier for left-handed power hitters, the right-field wall fence was dropped to match the height of the eight-foot wall in left and center. Left field is 336 feet from home and dead center is 396 feet. And then there is the weather. It would take a meteorologist to fully explain, but the marine layer — a convergence of cool and warm air — provides heavy air that causes fly balls to die as they leave the bay, turning home runs into long outs. It is a weather issue that the Padres and the Giants have in common (one of the reasons AT&T Park is light on home runs). Depending on the time of day, there could be a dearth of round trippers leaving us to bask in the warmth of ESPN’s deadly dull broadcast repartee. 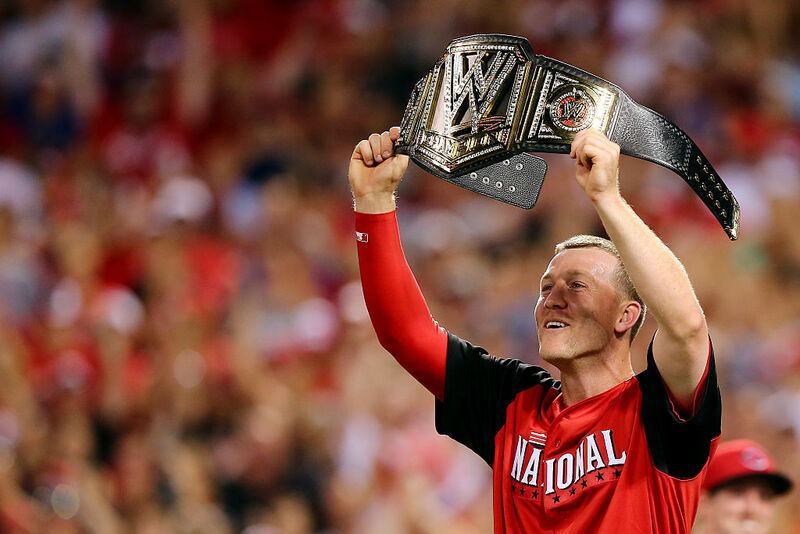 But, as previously stated, one way to ensure a good Home Run Derby no matter the total number of fence-clearing shots, is to select combatants who bring personality to the event. To select the best of breed, it’s wise to do away with choosing the top eight home-run hitters as of early July; instead, take the eight players who bring some aspect of drama, history, or fun to the competition. With that in mind, here is our lineup. Anthony Rizzo, Cubs — A former Padre and the face of the Chicago Cubs franchise, Rizzo is a 2007 cancer survivor (as is his teammate Jon Lester) who brings a big smile along with his big bat. Davis Ortiz, Red Sox: In his retirement year, Big Papi is having a great season with 11 homers while playing a key role in the Bosox resurgence. Ortiz won the derby in 2010, and claims he’s done with the mid-summer slugfest, but with enough fan pressure, he’s likely to join in the fun. Trevor Story, Padres: A rookie who came out of the gate like a house on fire, the former 2011 No. 1 pick of Colorado hit home runs in his first four games as a pro and tied the rookie record for most home runs in April. Most of the baseball world doesn’t know the Texas native, so a national showcase is due. Jose Bautista, Blue Jays: Joey Bats has been in the competition numerous times. He has 10 home runs as of now. However, being on the receiving end of a stiff right jab propelled Bautista into the spotlight. Whether the punch was payback for a hard slide or a 2015 playoff bat flip, Joey Bats will be a lightning rod for attention if he’s included in the derby. Rougned Odor, Rangers: At a generous 5-foot-11, Odor gave up height and reach to Bautista when he socked the Blue Jay in the kisser. That aside, Odor packs a lot of punch in his wiry frame, with 16 dingers in 2015. If the derby gets dull, a steel cage match between Odor and Bautista could add some excitement. Nolan Arenado, Rockies: The closest baseball has to the great Brooks Robinson — the third sacker who set the standard for fielding and hitting for the position — Arenado is due for the spotlight. Arenado is tied for the lead in home runs with 14 and puts on a fielding clinic every game. It’s time he became known to more than just diehard baseball fans. Matt Kemp, Padres: Although he’s batting a measly .222, Kemp has 10 homers as of now. He’ll keep Padres fans enthused, and give announcers a “what happened to this guy” story as they point to his 2011 season, when he finished second to Ryan Braun in National League MVP voting. Kris Bryant, Cubs: In addition to being one of the emerging faces of the game, Bryant has a local tie; he played ball at the University of San Diego. In 2013, as a junior playing for the Toros, he led all of college baseball with 31 home runs, so SoCal fans have a place in their hearts for this young slugger. Will the New Strike Zone Rules Speed Up MLB Games?